Displays 10 long-term charts depicting various broad-based aspects of the economic situation. 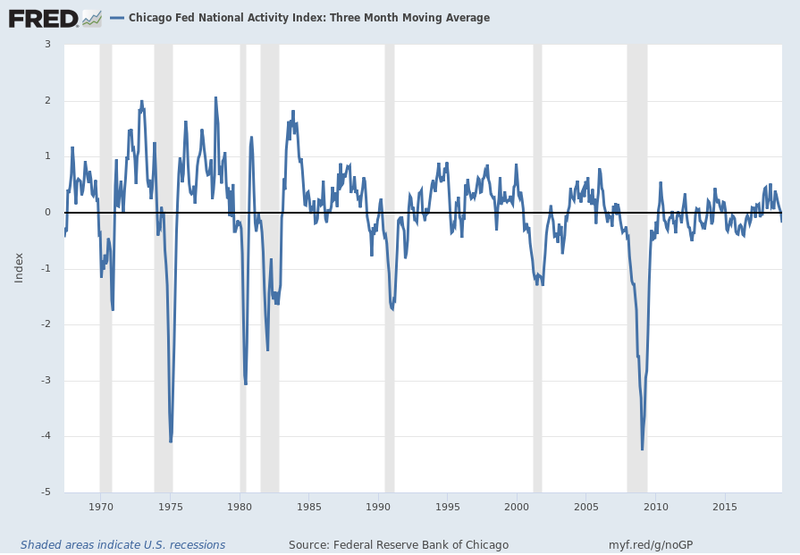 Charts generally show worrisome levels despite 118 months having passed since the end of the recession. 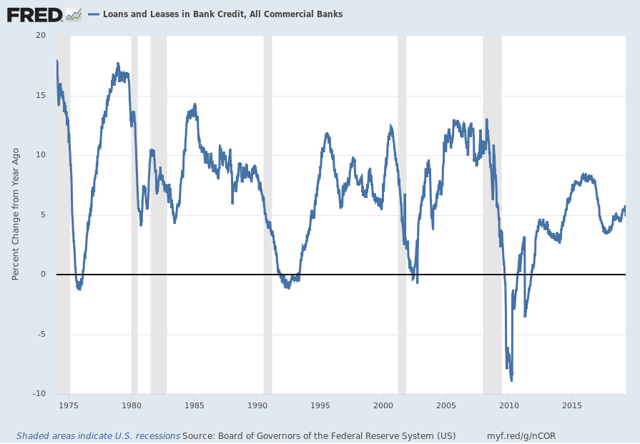 The charts show how "atypical" the current economic era is from a long-term perspective. Please note this post is the latest update to a series of articles, the last being "10 Scary Charts - January 16, 2019 Update." 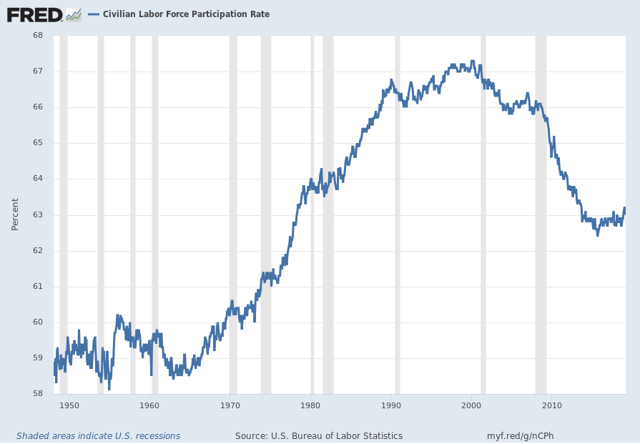 I find the following charts to be disturbing. These charts would be disturbing at any point in the economic cycle; that they (on average) depict such a tenuous situation now – 118 months after the official (as per the September 20, 2010 NBER BCDC announcement) June 2009 end of the recession – is especially notable. These charts raise a lot of questions. As well, they highlight the “atypical” nature of our economic situation from a long-term historical perspective. 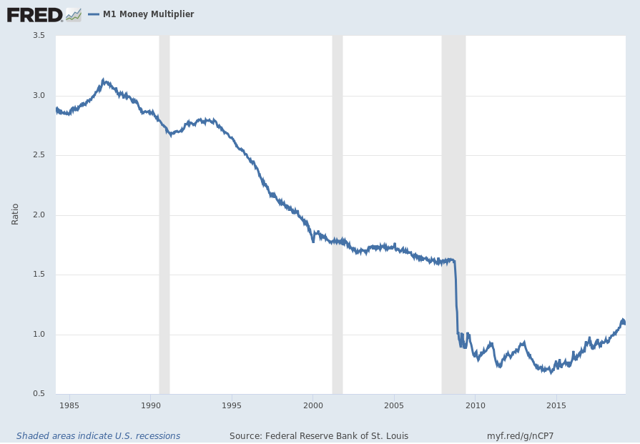 All of these charts are from the Federal Reserve, and represent the most recently updated data. 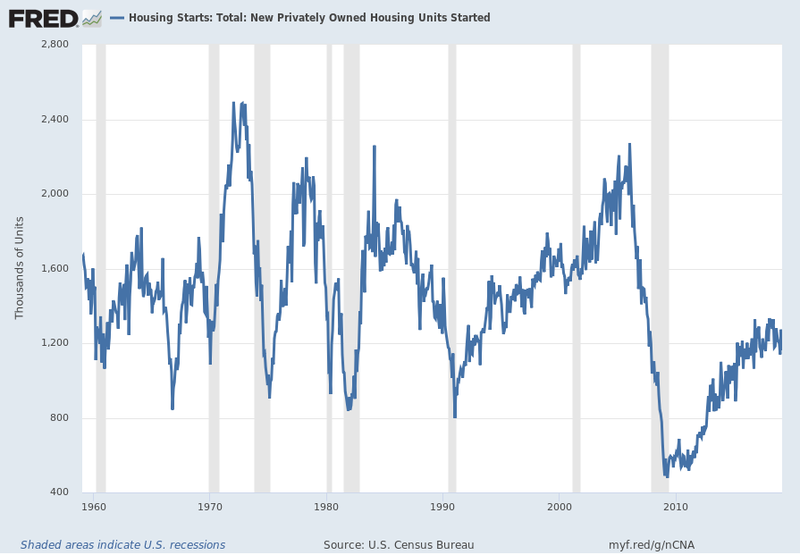 US Bureau of the Census, Housing Starts: Total: New Privately Owned Housing Units Started [HOUST], retrieved from FRED, Federal Reserve Bank of St. Louis Housing Starts: Total: New Privately Owned Housing Units Started, April 15, 2019. 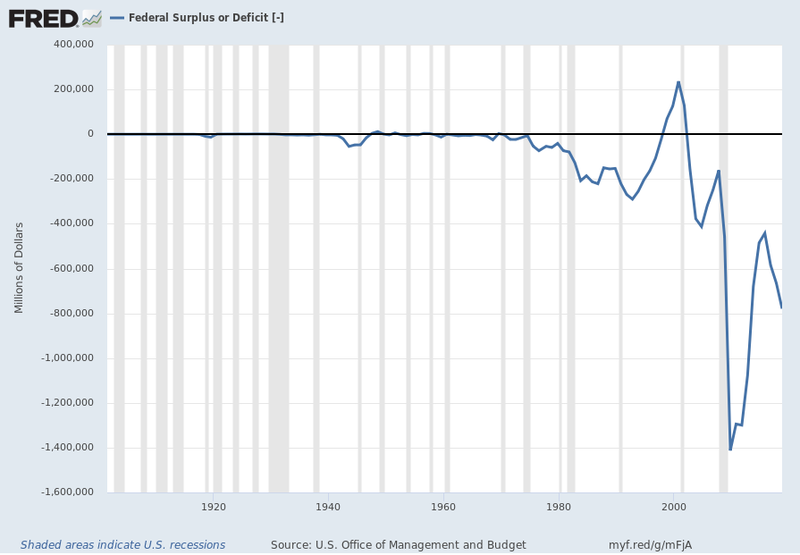 US Office of Management and Budget, Federal Surplus or Deficit [-] [FYFSD], retrieved from FRED, Federal Reserve Bank of St. Louis Federal Surplus or Deficit [-], April 15, 2019. 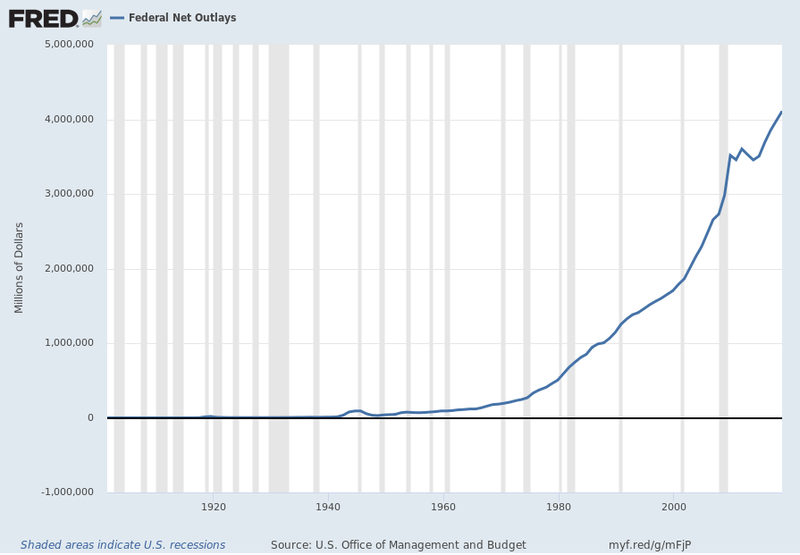 US Office of Management and Budget, Federal Net Outlays [FYONET], retrieved from FRED, Federal Reserve Bank of St. Louis Federal Net Outlays, April 15, 2019. 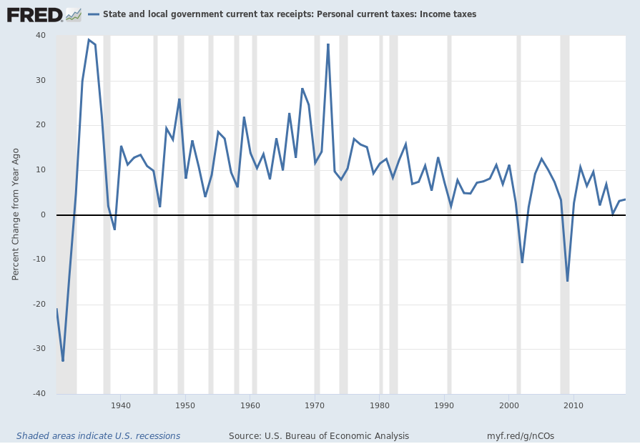 US Bureau of Economic Analysis, State and local government current tax receipts: Personal current taxes: Income taxes [ASLPITAX], retrieved from FRED, Federal Reserve Bank of St. Louis State and local government current tax receipts: Personal current taxes: Income taxes, April 15, 2019. Board of Governors of the Federal Reserve System (US), Loans and Leases in Bank Credit, All Commercial Banks [TOTLL], retrieved from FRED, Federal Reserve Bank of St. Louis Loans and Leases in Bank Credit, All Commercial Banks, April 15, 2019. 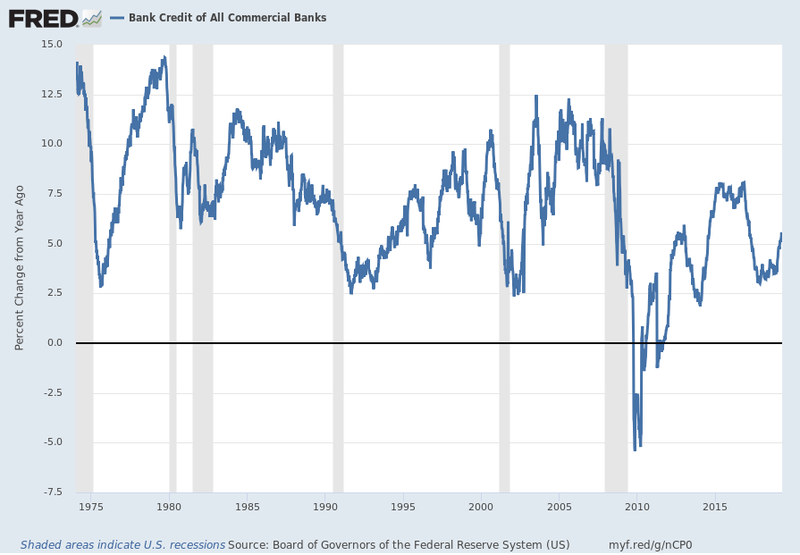 Board of Governors of the Federal Reserve System (US), Bank Credit of All Commercial Banks [TOTBKCR], retrieved from FRED, Federal Reserve Bank of St. Louis Bank Credit of All Commercial Banks, April 15, 2019. Federal Reserve Bank of St. Louis, M1 Money Multiplier [MULT], retrieved from FRED, Federal Reserve Bank of St. Louis M1 Money Multiplier, April 15, 2019. 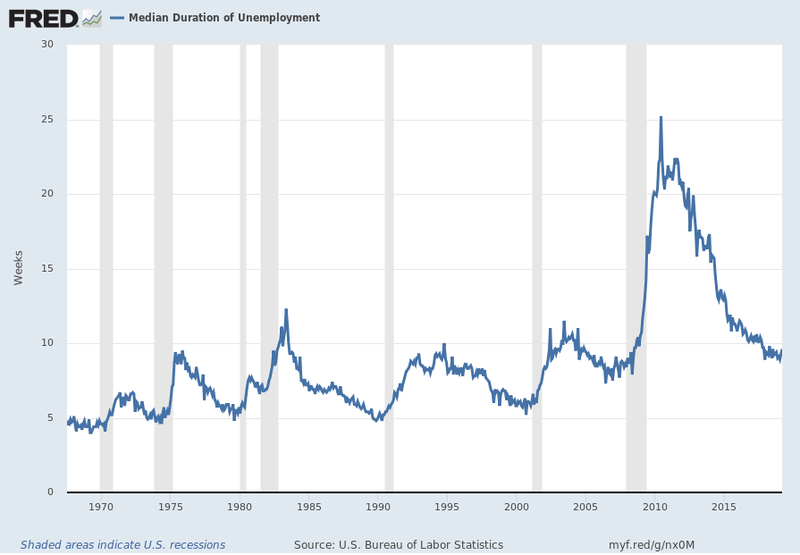 US Bureau of Labor Statistics, Median Duration of Unemployment [UEMPMED], retrieved from FRED, Federal Reserve Bank of St. Louis Median Duration of Unemployment, April 15, 2019. US Bureau of Labor Statistics, Civilian Labor Force Participation Rate [CIVPART], retrieved from FRED, Federal Reserve Bank of St. Louis Civilian Labor Force Participation Rate, April 15, 2019. 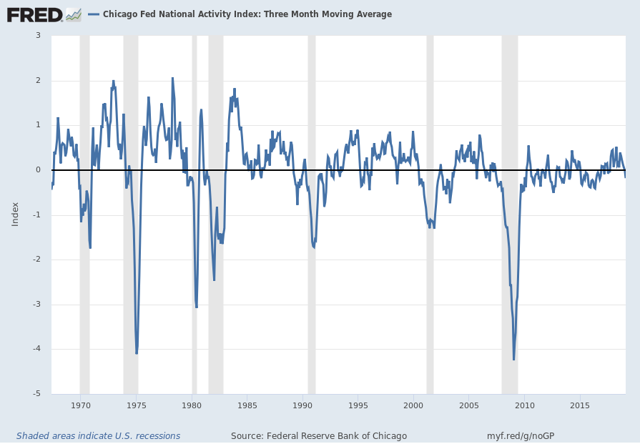 Federal Reserve Bank of Chicago, Chicago Fed National Activity Index: Three-Month Moving Average [CFNAIMA3], retrieved from FRED, Federal Reserve Bank of St. Louis Chicago Fed National Activity Index: Three Month Moving Average, April 15, 2019. SPX at 2,905.58 as this post is written. Disclosure: I/we have no positions in any stocks mentioned, and no plans to initiate any positions within the next 72 hours. I wrote this article myself, and it expresses my own opinions. I am not receiving compensation for it. I have no business relationship with any company whose stock is mentioned in this article.